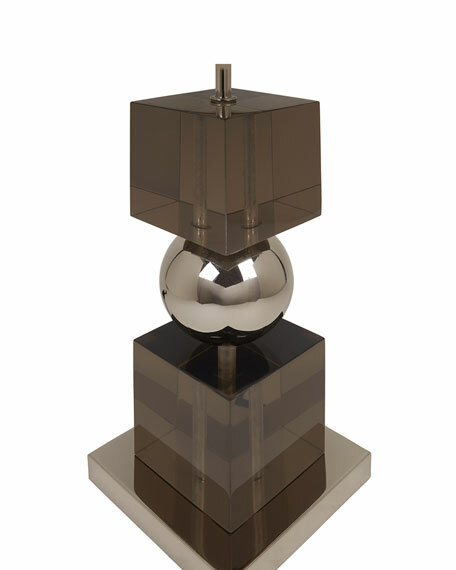 Moody smoked acrylic cubes sandwich a stainless steel ball for gravity-defying glamour. 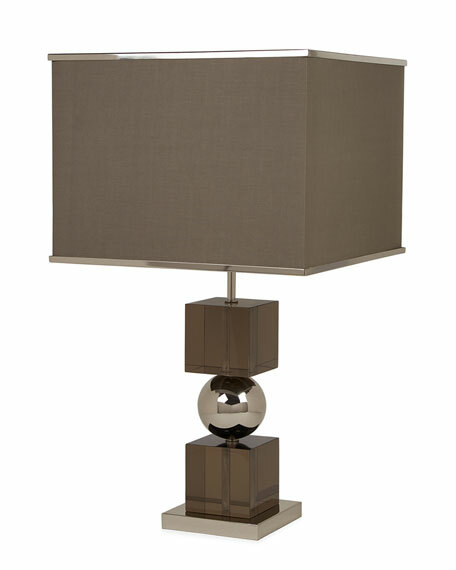 A polished nickel trim gives a jewelry-like finish to the square fabric shade. 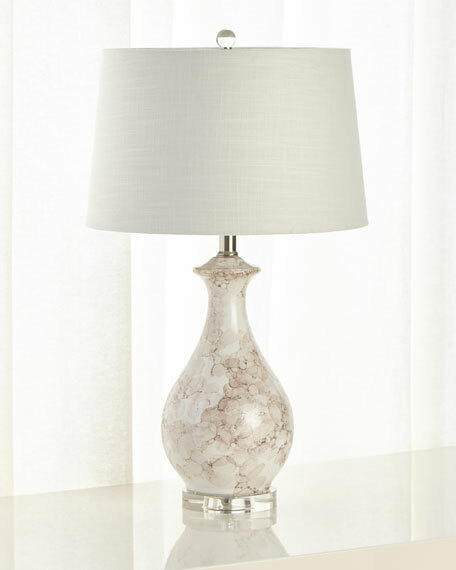 Add dark drama to a console or pair on either side of the bed for a tailored touch. 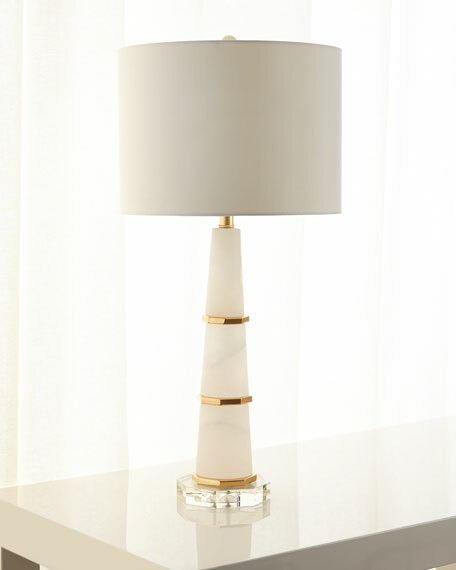 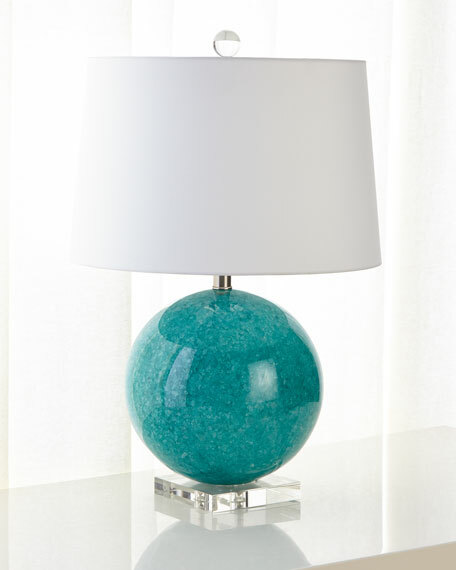 Table lamp featuring acrylic ballin neck. 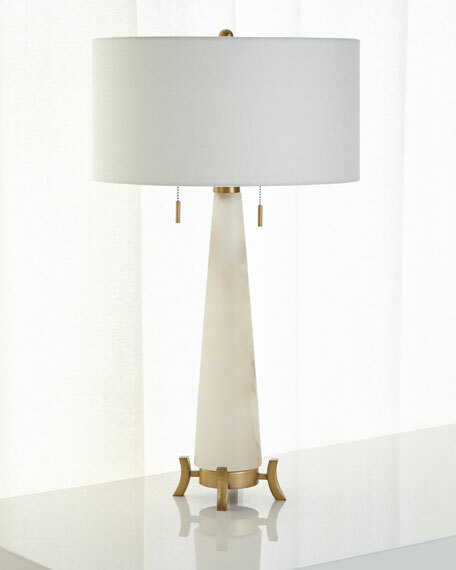 Polished nickel finished base and trim. 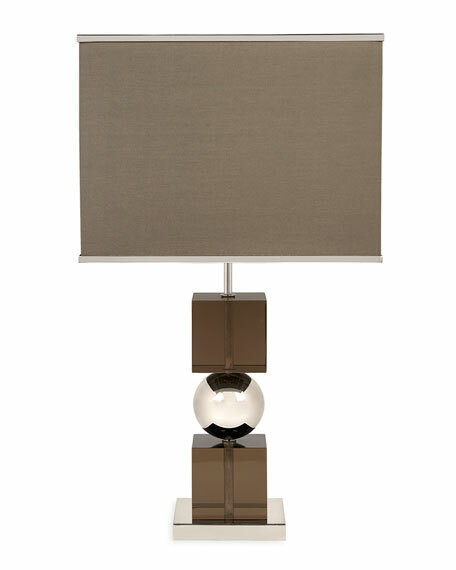 Linen shade; black fabric cord.